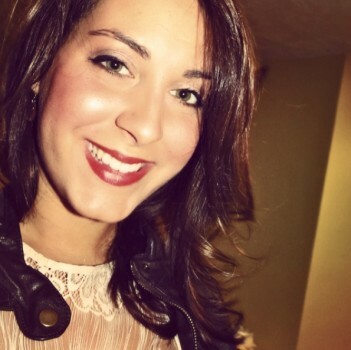 La La Luxe is so happy to announce the addition of Amber Bianco to our team! Amber Bianco, New Master Stylist/Colorist at La La Luxe! A graduate of Paul Mitchell the School in 2007, Amber Bianco’s career started as a stylist/assistant at Salon Marc Harris in Boston, MA. There, she learned John Sahag’s famous dry-cutting technique and mastered the philosophy of Bumble and Bumble. She trained under Marc Harris and his team where she developed a precise skill and knowledge while combining it with her own natural, artistic talent. A country-girl at heart, Amber moved back after 2 years in Boston and has spent the past few years working in RI. Amber has the ability to create goregous, multi-dimensional color and highlights and can incorporate a perfect cut on top of it all. Her focused yet laid-back personality will make you feel comfortable and relaxed. You will feel completely at ease knowing you are in the hands of someone who’s purpose in this industry is to listen to you and make you look and feel as beautiful as possible. I asked Amber a few questions just to let you all in on what she’s all about! Leah: What is important to you when it comes to doing hair? Amber: I believe it is all about finding a cut and color that works for my guests every day. Not only do I want them to look and feel great when they leave the salon, I want them to be able to achieve that look themselves. I also feel that it is so important to protect the integrity of the hair. I have no problem saying “no” to a client if they are asking me to do something that will prevent them from having shiny, healthy hair. I’m one to work with my guests slowly, rather than diving in and damaging the hair. Great hair-color and cuts look better when the hair is healthy. It shines from within when it is taken care of correctly. Leah: What is your favorite thing about doing hair? Amber: I love how much trust I have established in my guests. Sometimes they tell me to do whatever I want. That really is a good feeling. I thrive on making people feel confident and beautiful. It’s one of the biggest reasons that I entered this industry. Leah: When you’re not behind the chair, what are you doing? Amber: I love love love being outdoors. Riding my bike, hiking, you name it. I love music too and love going out to live shows. I have a love for cooking but also going out to dinner at new, and different places. I love to meet new people whether inside the salon or outside…I just love forming new relationships. If I’m not doing all of the above, then you can also find me curled up on the couch watching a movie or reading. https://lalaluxesalon.com/wp-content/uploads/2016/09/logoNEW-1-300x144.png 0 0 leah https://lalaluxesalon.com/wp-content/uploads/2016/09/logoNEW-1-300x144.png leah2013-04-03 14:29:352013-04-03 14:29:35La La Luxe is so happy to announce the addition of Amber Bianco to our team!